I believe Robert Jaworski is the reason why Ginebra is so popular. I watched him play when I was still a child. My dad watched him play since Toyota days (1975-1983). They went to the same university and my dad told me he became classmate with Jaworski in one of his subjects at the University of the East. Robert Jaworski is the first playing coach in the PBA in 1985. He was with Ginebra San Miguel. He was also honored as one of the 25 Greatest Players of All Time in 2000. His jersey number will be retired this Sunday, July 8, at the Smart Araneta Coliseum. This is a historical event and as early as last week, there's no more ticket available. But you could be lucky. 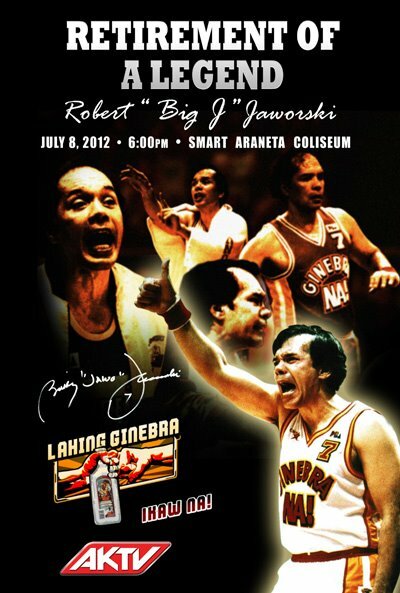 AKTV is giving away patron tickets plus a chance to meet and greet with Robert Jaworski.